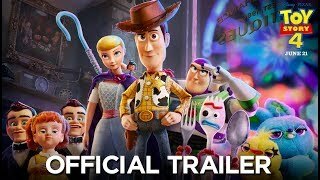 Hi, hello, so the first full trailer for Toy Story 4 just dropped and I literally can’t seem to talk about anything else. 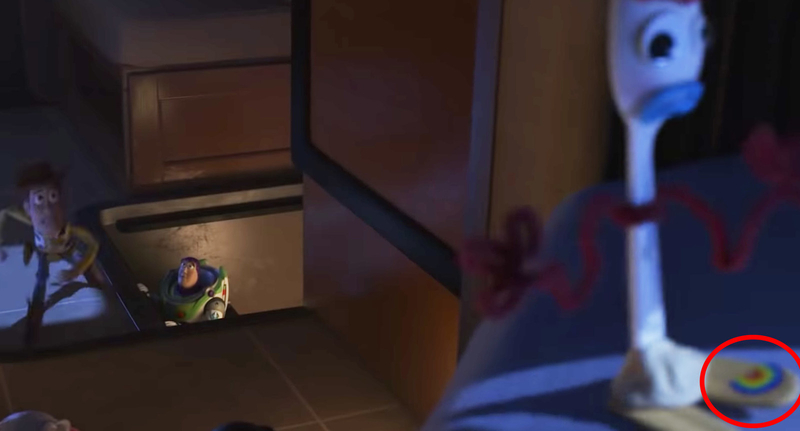 And because this is Pixar, there are obviously some details we have to discuss right now! 1. 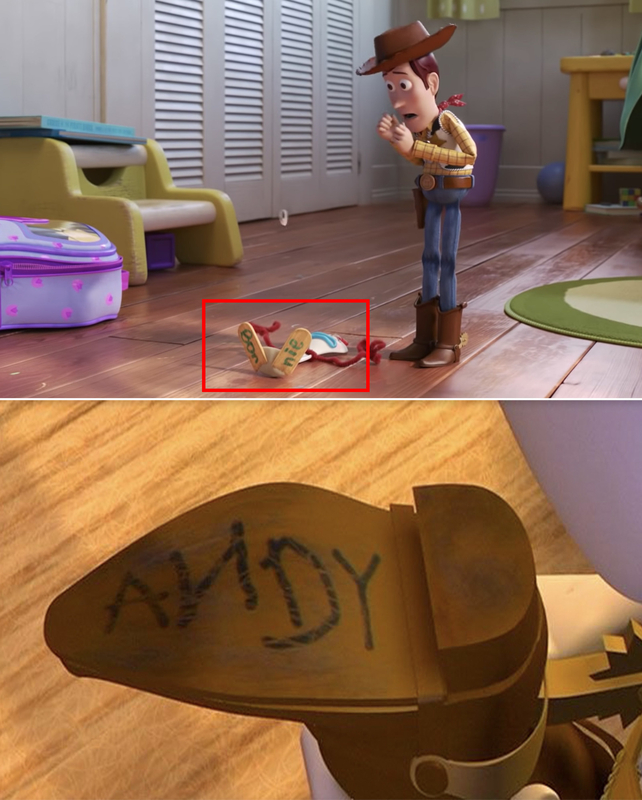 First, you can see that Bonnie’s new toy Forky has “Bonnie” written on his feet — similar to how Andy would label his toys. Also Forky is voiced by Veep’s Tony Hale. 2. Bonnie apparently loves creating things for her toys because you can spot what appears to be a homemade pretzel shop (presumably Mr. Pricklepants’s) in the background. 3. 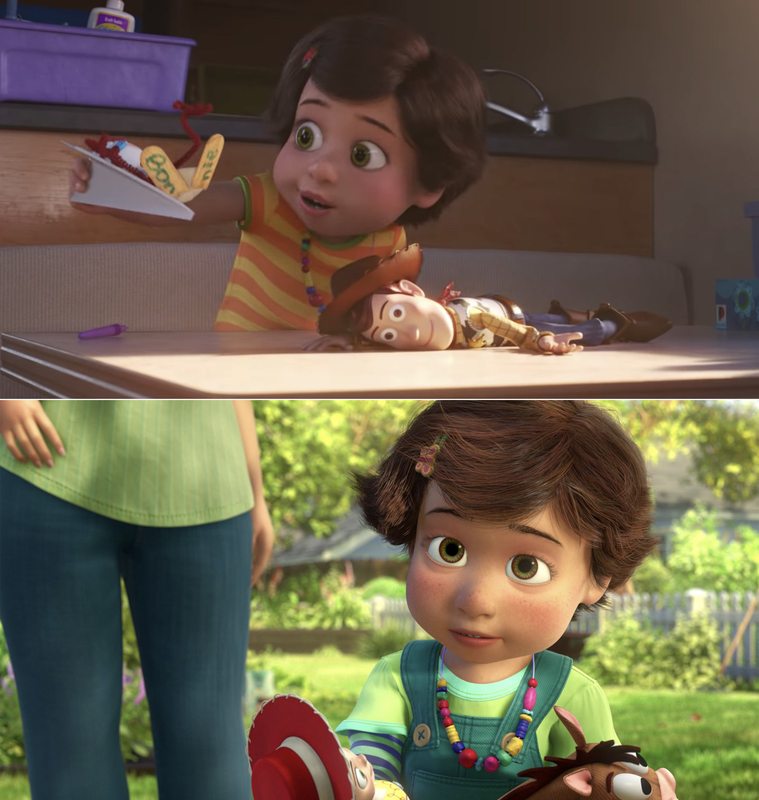 It doesn’t seem like too much time has passed since Toy Story 3. Bonnie looks slightly older and is rocking a different hair clip. 4. It’s kind of hard to see, but as Forky is trying to escape, you can spot a rainbow sticker on the top of his foot — this sticker also appears to be the same colors as the iconic Pixar ball. 5. Personally, I have no idea what the license plate on the RV stands for, but here it is because it’s bound to mean something. 6. 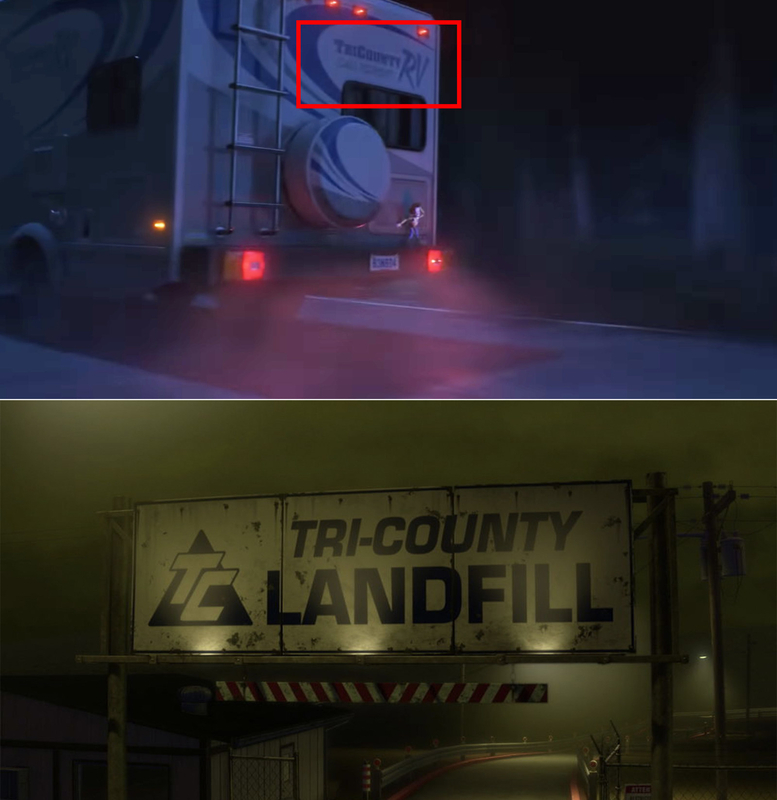 Also, the RV company “Tri County RV” connects to the various locations from the other Toy Story films. 7. In the antique store, you can spot a lamp with Bo Peep’s sheep on it. 8. Also, the antique store’s address number is 1200, which is also the address number of the Pixar Animation Studios in California. 9. Of course, Bo Peep makes her triumphant return and is rocking a new look — in case you forgot, Bo was absent from Toy Story 3 after apparently getting lost. 10. Also, it appears that we will be getting some answers as to why Bo Peep left Andy’s, considering we see her in her traditional pink outfit in what looks like a flashback. 11. 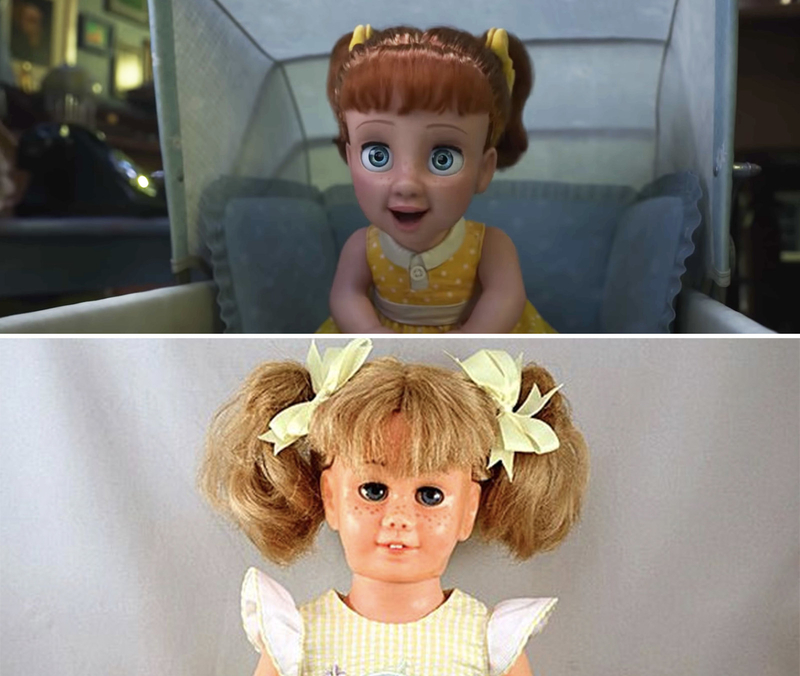 The new character Gabby Gabby is a nod to the popular children’s toy Chatty Cathy. Gabby Gabby is also voiced by Mad Men’s Christina Hendricks. 12. 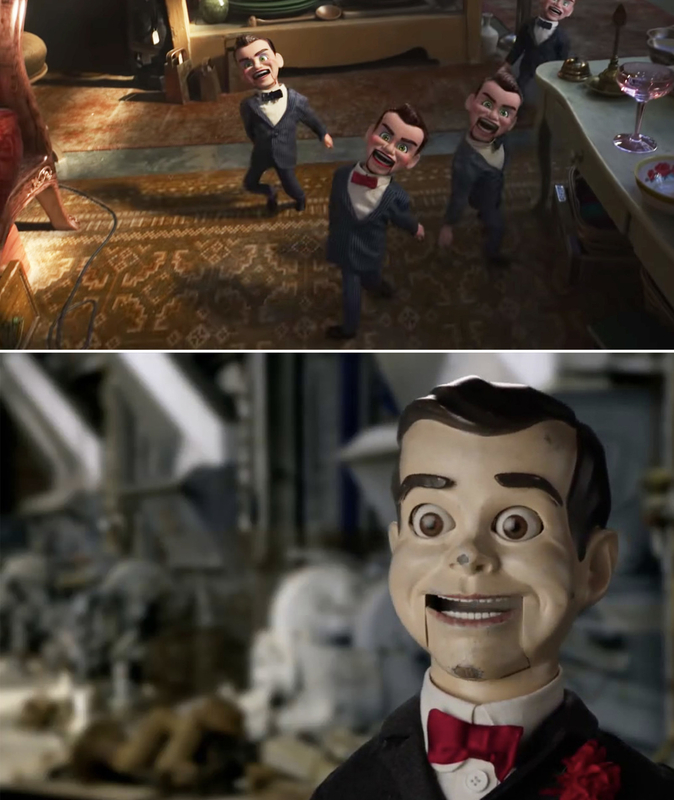 Also, the ventriloquist dummies that Gabby Gabby controls are reminiscent of Slappy from Goosebumps. 13. One of the rides at the carnival has a similar color pattern to Zerg, Buzz’s archenemy. 14. When Bo is introducing Woody to the other carnival toys, you can spot Tin Toy from the original Pixar short. 15. It’s brief, but you can see Officer Giggle McDimples, Bo Peep’s new BFF, sitting on Woody’s shoulder. Officer Giggle McDimples is voiced by Wrecked’s Ally Maki. 16. Of course, we get a glimpse of Andy’s old room in a flashback, which includes posters of Buzz Lightyear and a giant Mickey watch. 17. The new character Caboom, a motorcycle-riding stuntman, makes his first appearance in the new trailer. Caboom is voiced by Keanu Reeves. 18. 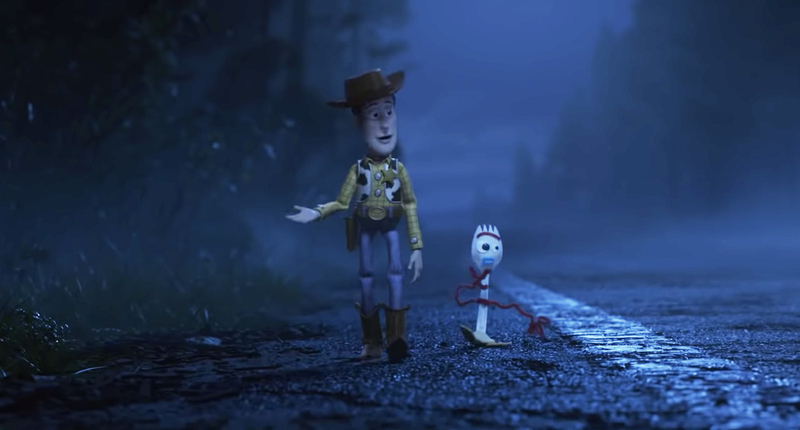 At one point, Woody is running away from the ventriloquist dummies with just Forky’s pipe cleaner arms. 19. The prize wall at the carnival includes blue and pink versions of Ernesto de la Cruz’s guitar from Coco. 20. 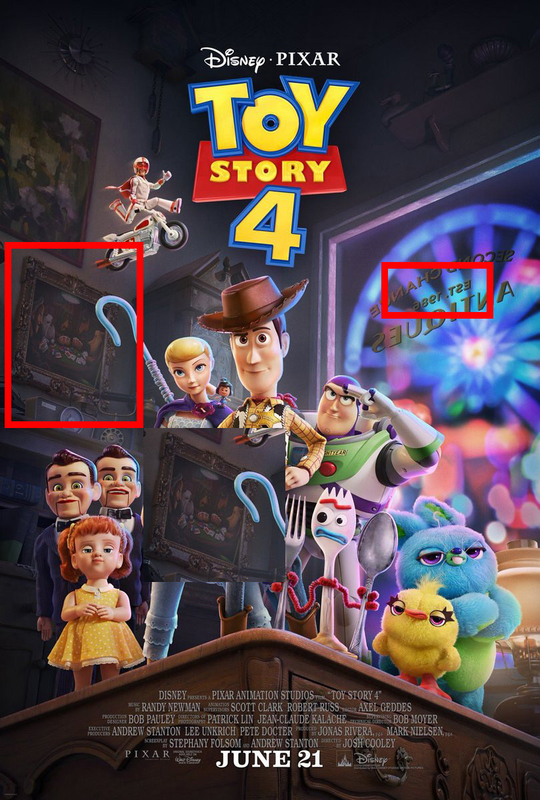 And finally, this isn’t in the trailer, but in the poster you can spot Dug and the dogs from Up playing poker in a painting, as well as a sign saying the antique store was founded in 1986, the same year Pixar was founded. So, there you have it! I’m super excited for June and can’t wait to see what adventures our favorite toys go on! Did you catch any other details or Easter eggs in the new trailer? Sound off in the comments below! Previous story Which Color Matches Your Personality Based On The Baby Names You Choose? Which Song Should You Listen To Right Now Based On Your Random Preferences?